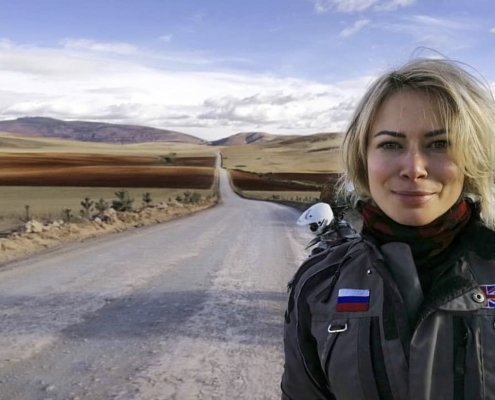 Vasilisa has a passion for travel and motorcycles. 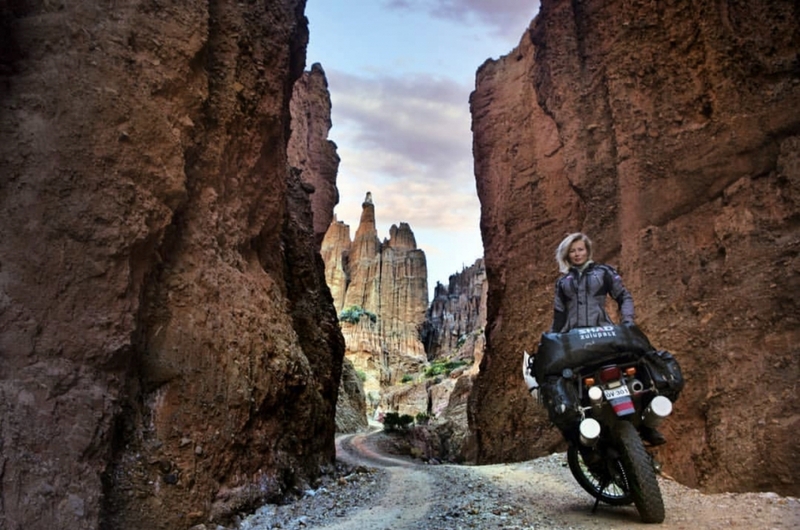 She blended the two as a way to experience the world. She has been adventure riding for a few years now. 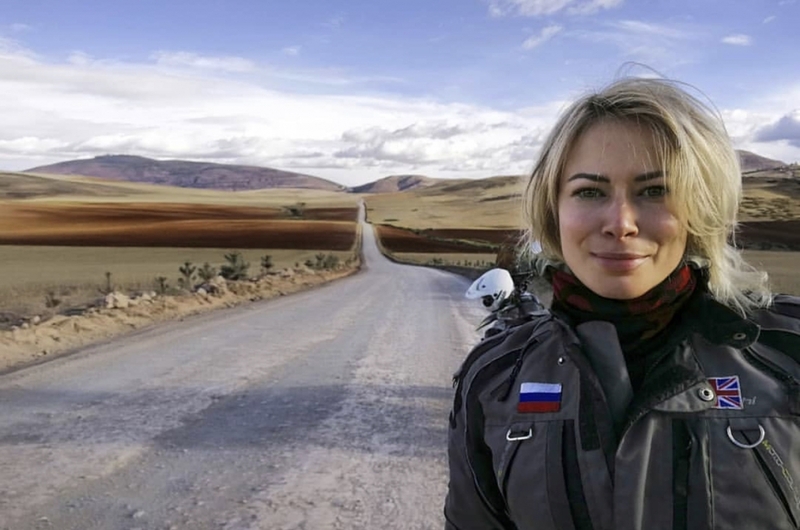 A Russian who made her home in London, Vasilisa originally set out to on a solo adventure ride from Patagonia to Alaska and had planned a year and a half to complete the ride. With every intention to return to London and continue her life there after the scheduled time away. However, as many explorers before her have also discovered, it might be best to go where the wind takes you and leave the plans behind. 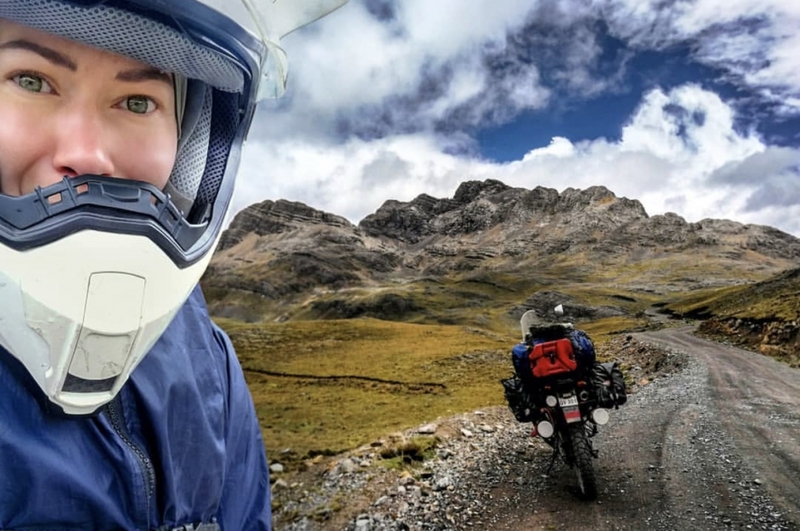 After being on the road for more than two years, she is currently in Ecuador. If her social media is any indication, she is having a wonderful time. You can follow her travels via Instagram. She uses the handle @mythousandsmiles. I highly recommend giving her a follow if you are not already. She is an excellent reminder of the many ways a person can make their dreams happen. The details are important but making things happen is the ultimate accomplishment. Check out the interview and a collection of her photos below. More then anything else, I am a Personal Trainer. It was my job for the last few years before I left the UK and set out on my adventure and what I still do when stay for a while in one place. In addition to PTing, I’m a freelance photographer and travel with all my gear. That I did prior to entering the fitness industry. Honda, dual-purpose, 250 cc AKA Vovka. Vovka is abbreviation from Vladimir. I bought it in Chile just over two years ago. I only consider a cross bike. It’s how I travel. Traveling and bikes go hand in hand for me. Although my past experience was limited to Asia for a month or two at a time and only on rented bikes. Vovka is the second bike I’ve bought on this trip. 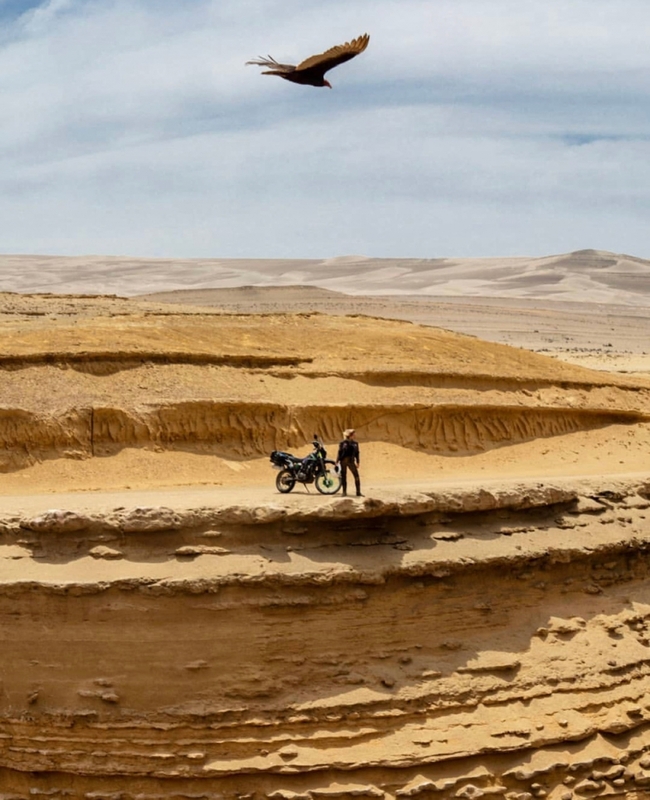 I started with a Honda XR150 which I had for over half a year and we travel La Carretera Austral, Ruta 40 and spent a couple months exploring the Atacama. I sold it when I was in Santiago and I bought my current bike. > It’s good on the road and great off road. On my type of trip I want to explore and take scenic unpaved roads. > It was, and still is, the model used by Chilean police. So I expected reliability, and I got it. > It’s built in Brazil, therefore, for the most, spare parts can be found. Even the originals, are more economic in comparison with many others models & makes. I bought it from someone who used it for commuting to work. Which was also the reason the guy sold it – a smaller bike is more convenient for the heavy traffic of Santiago De Chile. Therefore, the bike came absolutely “naked”. I put the protection like a skid plate and slide cage; put a wider stand plate for parking off paved surface; wind screen, hand protections, stronger light (in Colombia, where I am going next, I want to upgrade it with Exploradores), storage places. 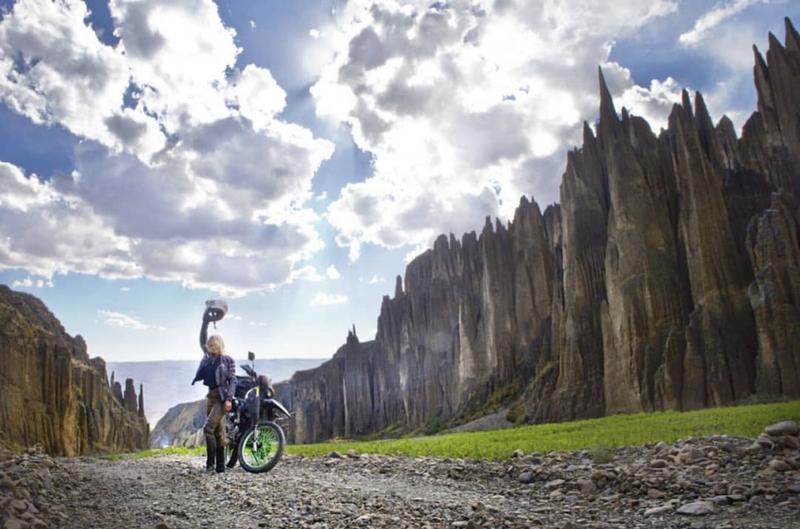 What is your favorite part about living off your bike? Part? Everything. Well, maybe bar the absence of a hot shower every now and again. I could have only answered that question when I was a couple months in. But after a couple of years, I can’t name one place anymore. 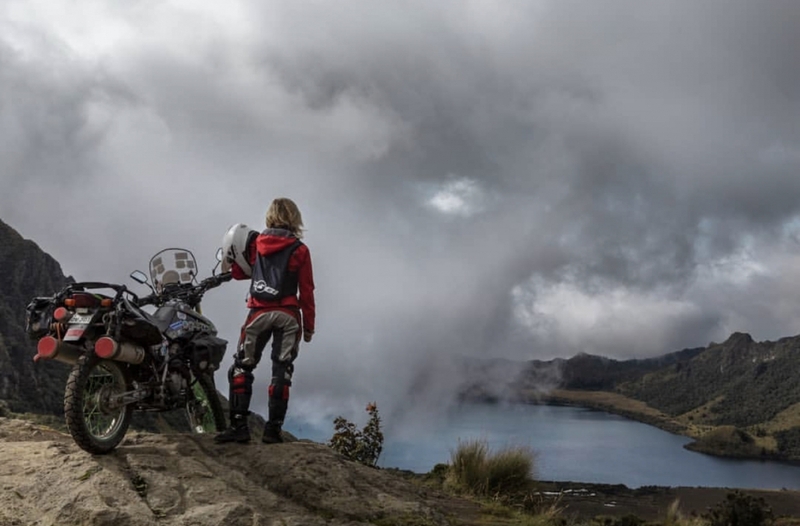 Each country (that I’ve visited so far) deserves a good exploration, has scenery that makes you feel so blessed to be there and routes that make you want to scream and cry from the beauty of the ride. From this continent: Parts of carretera Austral in Patagonia Chilena & Canyon de Pato in Perú. 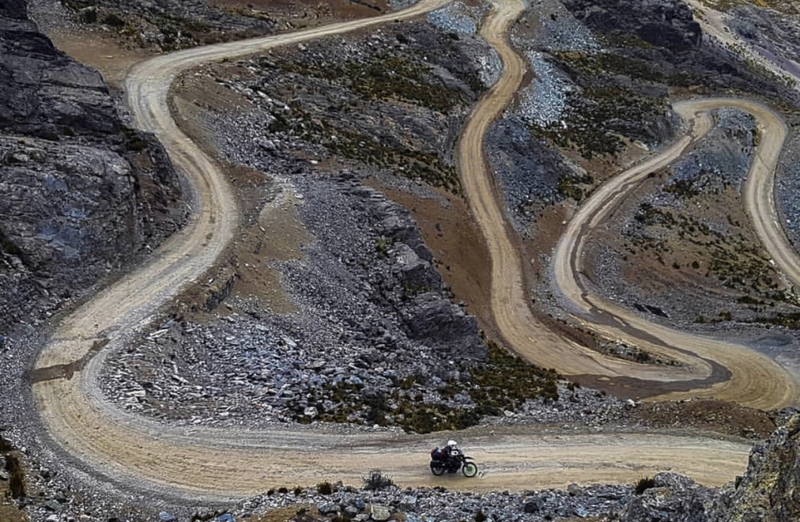 However, there were many small roads, often through national parks that had embedded themselves indelibly into my memory because of how spectacular was the ride. 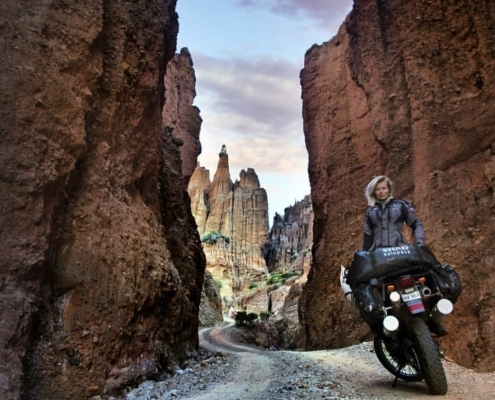 I consciously keep myself happy on a daily basis (which traveling and motorcycle are the ingredients of. ), thinking positive and staying prepared for everything. Don’t doubt doing it and get good waterproofs. Initially I planned to get from Patagonia to Alaska within a year or a year and half max and be back in my beloved London. But within a few months of setting out, I was so far from any of my preconceived travel predictions and I realized nothing was set in stone and my journey was only really just beginning. It took a while to accept it, but when I did, I loved it, then, I really really loved it. Values…My family, which consists of my mum, took a couple years to see the bright side of what I’m doing. But it’s her who always taught me to love the world and respect places I go. I admire your outside the box approach to career and home. Do you see yourself as someone who took a leap of faith to live in an unconventional way or do you think it kind of just happened? & Where do you want to go next? A fusion of the two, a transgression that still has a few leaps of faith. 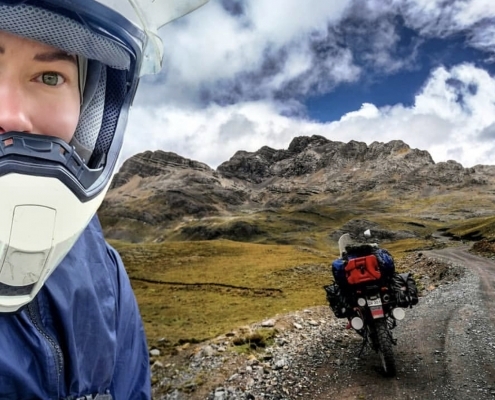 I am in the North of Ecuador from where I considered to go to Venezuela then into Colombia, but I’ve decided no crossing the border via Cúcuta and traveling for a couple months in Colombia, making my way north towards the pass. Career. My poor career. I could own a gym by now. But I own a bike instead and I’m happy with my choice. Thanks for sharing, those are beautiful areas filled with some of nature’ most remarkable works of creation!